The other day someone visited my house and asked me where I “belong”. I actually don’t “belong” to any part of India, having travelled and lived across India on numerous occasions before working in the IAS first in Haryana then in Assam and Meghalaya. The longest I’ve lived in any place in the world is in Melbourne (nearly 17 years), followed by Los Angeles (5 years). In India I lived four years in Jullundur, twice for two years each in Pune, nearly four in Visakhapatnam, followed by shorter stints in Secunderabad, Shillong (twice), Guwahati, Barpeta, Dhubri, Bangalore, Mussoorie (twice), Perth, Hojai, Patna, and Dehradun. Essentially I’ve been a vagabond, and consider myself to be a citizen of the world. But given this prompting (about “where I belong”) I decided to find out. I had a vague idea about my ancestry (e.g. see this) but it was probably time to find out more details. Btw, the disruption of the partition of India seems to have taken many members of our family (particularly of my generation) to far flung shores across the world. Here are my preliminary findings – obtained from my father and mother – that I will update as I find out more. In particular, I’m interested in exactly when and how my parents came from West Panjab into India at the time of partition. I’ll keep elaborating this post as I find out more. It will remain work in progress. It appears that in 1959, my Bauji (Grand Father: Lala Gopi Chand Sabhlok) told my father to always write Sabhlok i.e. with an “h” and not Sablok. He explained the origin of the word Sabhlok and how it differs from the (directly related) Sablok. My grandfather had just come from Pindigheb so he knew the family history very well. Plus some of this has been corroborated from various temple records. Background: 1820s – 1840s. In the 1820s one of the great warriors of Indian history, Hari Singh Nalwa, was in-charge of North West Punjab, Frontier Province and Afghanistan as Governor of Maharaja Ranjit Singh (1780-1839) who was the ruler in Punjab and part of Afghanistan. One of Hari Singh Nalwa’s army officers (Jamadar) was Lala Sultan Chand “Sabhlok” (c.1810-?) of Frontier Province. Hari Singh Nalwa used to address Sultan Chand as “Sabhlok” – a cultured, refined and accomplished person. That is because he used to dress well with a dignified Pagri like a Pathan, white Salwar, Kurta etc. In Panjabi language the Hindi word “SABHYATA” is pronounced as Sabhta/Sabta and Sabhlok literally means a cultured person. Thus Sabhlok/Sablok is not a caste name, it is a title. 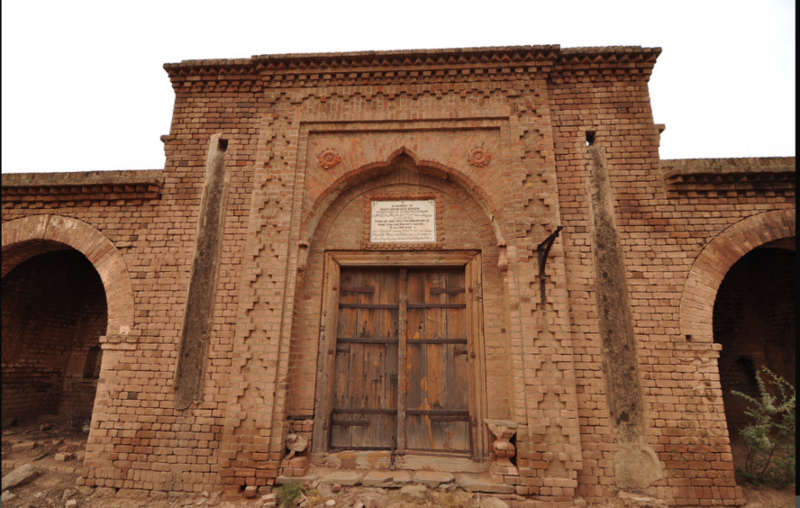 After his Army experience came to an end, Lala Sultan Chand shifted from the ancestral house in Dandi to Pindigheb to look after his 25 acres as a land owner (Zamindar). He used the title “Sabhlok” officially for the first time. The land was registered in the name of Lala Sultan Chand Sabhlok. [NB: This is something to check from historical land records in Pakistan, if possible] The Sabhloks of Pindigheb were often called Jamadars in recognition of their historical role in the Nalwa Army. 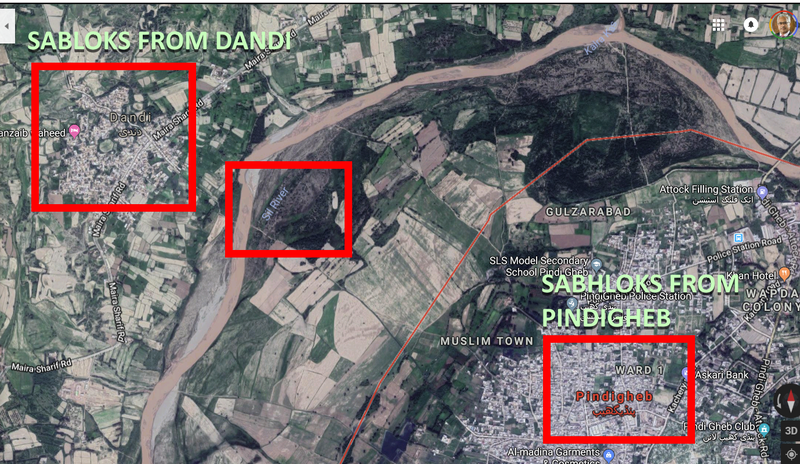 From the old records available in Haridwar, Mutton temple in Kashmir and the Katasraj Brahma temple in Pakistan about Sabhlok ancestry, it appears that one of Lala Sultan Chand’s sons, Lala Fateh Chand(2), continued to stay in Pindigheb but his other son/sons shifted back to Dandi village (a couple of miles from Pindigheb across the extremely turbulent river SEELAN – called “Sil” on Google, now). Those living in DANDI continued to use the title but changed the spelling to SABLOK. The Pindigheb progeny used SABHLOK. Note: Many Sabloks/ Sabhloks are Sikh. Because of Hari Singh Nalwa, there is significant influence of Sikhism among the Sabhloks. Many Sabhloks make their first son a Sikh. As a result there are a large number of Sikh Sabhloks/Sabloks today. He was a son of Sultan Chand, as noted above and tended the land. He was a son of Lala Fateh Chand and presumably tended the land, as well. He was a son of Lala Dewan Chand Sabhlok. Lala Gian Chand rose to become the Municipal Commissioner of Pindigheb. His wife was Rukmani Devi (nee Jaggi). He had two sons – Lala Lurinda Mal Sabhlok (School teacher) and Lala Gopi Chand Sabhlok (my grandfather). They had a sister Chanan Devi (she was older than Gopi Chand). Lorinda mal Sabhlok became a school teacher and agriculturist. Gopi Chand’s story is provided below. Lala Gopi Chand was born in 1894 in Pindigheb. He was the first Person from Pindigheb to matriculate from Panjab University (in 1910). He married Bishan Devi Abbhat/Abbot (after marriage Bishan Devi Sabhlok (1897-1984) (my grandmother). He joined the Agriculture Department at Lyalpur Agriculture University in Punjab. His first posting was in Hansi Distt, Hissar. He served in Lyalpur (now in Pakistan as Faisalabad) where all his five sons were born – namely Sri Ram, Raja Ram, Agia Ram (later name changed to Suresh Kumar in 1943), Prem Kumar and Rameshwar Kumar (later called Ramesh Kumar). “We used to address him Bauji and Bishan Devi as Beji” (from my father). Beji and Bauji also had four daughters: (1) Ram Chambeli married to Brahma Dev Anand and renamed Satyavati Anand after marriage, (2) Shant Devi married Bansi Lal Dilbagh (both Brahma Dev and Bansi Lal were School teachers, (3) Raj Kumari Sabhlok was married to Ram Asra Jaggi, auditor in Defence Accounts Department later transferred in Meerut and (4) Chand Kumari was married to Mitter Jaggi, an auditor in Accountant General office Shimla. Gopi Chand Sabhlok was transferred to Montgomery (now in Pakistan as Saiwal) in 1934 and then to Rawalpindi in 1944. After Partition in 1947 he was transferred to Ferozepur and later to Ambala City – details below. What happened at the time of partition? Bauji had planned to settle in Pindigheb after retirement to look after his lands but this ambition received a blow with India’s partition in 1947. As noted above, Bauji was transferred from Rawalpindi (which was to go to Pakistan) to Ferozepur in East Panjab (India). But after about six months in Ferozpur he was transferred to Ambala City where he stayed till 1957. Where were the other six children at the time of the partition? Uncles: Suresh uncle was working in Delhi as a lab assistant in a college. Sri Ram uncle was a soldier in the Army posted in Delhi Cantonment. Rajaram uncle was in the Military Engineering Service in Patna. Aunties: Satyawati and Raj aunties were already in India – Satyawati at Shahabad near Ambala and Raj at Patna (her husband Ram Asra Jaggi was in Defence Accounts Department). Aunty Shanti Dilbaghi was in Pindigheb. At the time of partition her husband Bansi Lal Dilbaghi was transferred to Hansi (Hissar) as a school teacher. He remained in Hansi for about ten years and then transferred to Jagadhri (Yamuna Nagar). Ambala (1948-1957): After six months in Ferozepur Bauji was transferred to Amabala City and retired in 1949. He then took up the job of an accountant at SA Jain College Ambala City till 1957. My father, Ramesh uncle and my mother (and her sisters) also studied in SA Jain College, Ambala. My father became a lecturer in Political Science in that College for two years before being selected to the Indian Defence Accounts Service (he retired in the rank of acting Controller General of Defence Accounts). After retirement from SA College he shifted to this Yaumannagar (Jagadhri) house. Later, he asked all his sons whether they could look after the land and house which all of them refused as all were far away from Jagadhri. Therefore the land and house was ultimately donated to Vinoba Bhave on the advice of all the five sons. Died 1978: He died in Ambala City in 1978 (as both Beji and Bauji were then staying with their son Raja Ram then employed in MES at Ambala Cantt). Beji died in Meerut in 1984 while staying with Prem Kumar Sabhlok and Adarsh Sabhlok. A few well known Sabhloks were my tayaji (what?) Hakumat Rai Sabhlok (an officer in the Municipal Committee in Pindigheb), Sukhraj Sabhlok, Deputy Director Agriculture Department, and Dr.Rajinder Pal Sabhlok, Director WHO who finally settled in Switzerland (his brother was Registrar of Agriculture University Hissar etc. ), my uncle Commodore Suresh Kumar Sabhlok, Vir Chakra. My mother recalls – she did not see any of these people after partition – that her grandfather (her Dadaji; i.e. 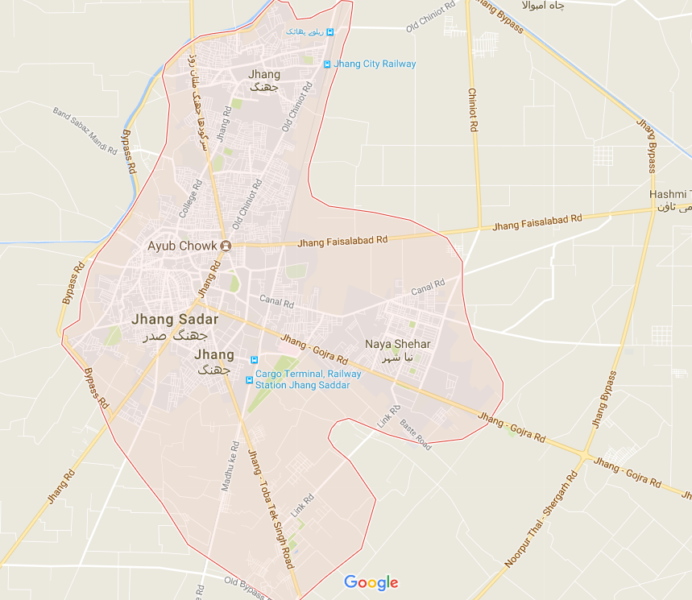 my great grandfather) had a house and farm in Jhang. In that he had two horses and some other animals. At the time of partition, my mother was around 11 years old. At that time her father (Bauji – Balkrishan Chawla – married to Sushila Devi, also Biji) was working in Multan. Upon partition he was transferred to Hansi in India. By that time the whole atmosphere had become very tense and full of fear and uncertainty. Violence had already started. People were being killed and properties were being burnt. Smoke was arising from many places in Multan. Fortunately, one of my grand-uncles (Ved uncle) was an officer in the railways at that time. He sent his younger brother to Multan and got Bauji’s household luggage booked by train. Their luggage reached Hansi safely. Finally, Bauji and family left Multan by train on 12 August 1947. Since my mother’s elder brother (Bhapaji) had to appear for his 10th class exam, he was left behind in one my mother’s maternal grandfather’s (Nanaji’s) friend’s house in Multan. The train went up to the Samasatta Junction station and stopped there. All passengers were forced to get down with their baggage. They sat on the platform badly scared and hungry. The platform was full of Muslims roaming here and there. While sitting at the platform and waiting for a further train to take them to Hansi, my grandfather’s family came to know that the entire lot of passengers in that (further) train had been massacred. The whole day thus passed in that dreadful atmosphere. As night appeared, Biji and Bauji became worried about my mother’s security as in that atmosphere all sorts of crimes were being committed. Luckily, the station master of that station was a Hindu. He offered my grandfather’s family help and asked them to spend the night in his house, which was nearby. Bauji stayed on at the platform with the luggage while the family spent the night in the house of that station master. Next day, fortunately another train arrived and the entire family boarded that train. All passengers were fear stricken and huddled together without uttering a word. Fortunately, this train reached Hansi safely. That’s why I exist. Bhapaji came to India much later by air along with my mother’s Nanaji’s friend in whose house he had been left for his exams. My mother remembers that Biji was very close to her grandfather’s elder brother’s family in Lahore. She remembers visiting their house in Lahore. After partition, her grandfather’s elder brother settled in Delhi and my mother visited their house in Delhi a few times along with Biji. But by now, she does not remember where that family went. We have lost contact. 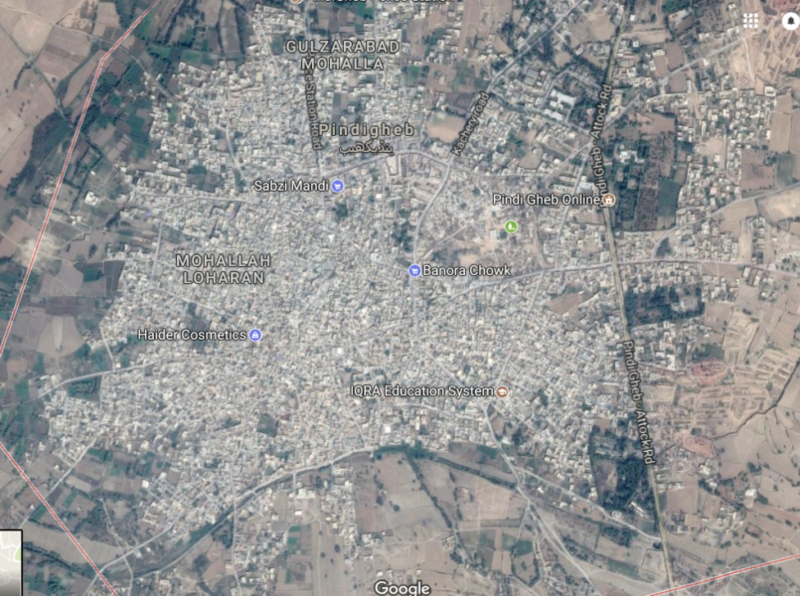 « Inner workings of yet another typical corruption scam in India (this one in Panjab). And its history includes attempted murder. I knew you were Khatri. They are decent people. The Sikh Khatris are called Bhapa, and the Muslim Khatris of West Punjab are called Khwaja Sheikhs. In my case, I have a relation to West Punjab as well, but that’s more than 800 years back. My ancestors were Saraswat Brahmins (Sarsut in Punjabi) from what is now Pakistani Punjab. They are reputed to be the most elite and knowledgeable of all Brahmins, because they were the ones who composed the Vedas and Upanishads. On my father’s side, I am Prabhu (landlord) and on my mother’s side I am Kamath (farmer). The Saraswat Brahmins began immigrating to South India from Kashmir and Punjab in waves from the 12th to the 16th centuries, and they adopted Konkani as their mother tongue. In the mid-16th century, my ancestors converted to Christianity under the Portuguese and in the early 17th century, they immigrated to Tulu Nadu (Mangalore, Udupi, and Kasargod districts). In my dad’s mother’s family, they even know their Brahmin relatives in Goa and south Maharashtra. They know their gotra, kuladevta, history, everything. There was a 90s era photo of the Brahmin and Catholic family members together I shared on quora. On my case, I’m not so lucky! But I’m thinking of having my DNA test taken from ancestry.com. If I get a match with a Goan Catholic relative, then I may have access to a geneology book which every Goan Catholic family of Brahmin descent keeps. No, Joyson, I’m NOT Khatri or any such thing. My ancestors might well have been anything. Immaterial as far as I’m concerned. Of course, you are Khatri! You can’t change your blood and descent. It’s what you are. Khatri is a ethnicity, not a caste. Kshatriya is a caste. You are not a Kshatriya but a Khatri – a community that also includes Arya Samajis, Sikhs, Muslims, and Christians who reject varnashrama (caste system). Sorry, Joyson, I disagree. We are all humans. Period. Humans have their own social identities. To deny this diversity is to deny one’s own humanity. People are different. And it is culture and environment that plays the dominant part of shaping what one becomes. There is no hiding from this. One of the major reasons I like India is because of its diversity. Every place is different and has a different vibe to it. The looks, outfits, cuisines, and customs change as you move from place to place. If we are all just a cultureless collective borg of so-called “vanilla humans”, the country would lose its vibrancy and turn into a boring soulless place. It would cease to remain India. One of the main reasons that I in fact oppose Hindutva, Islamism, and fundamentalist Christianity is because they oppose the diversity of Indians and want their adherents to be a uniform monolith. There is no good that has come out of this “diversity”, particularly the religious/caste stuff. Most of the West is now abandoning religion. That does not in any way affect culture. It only improves it. Not withstanding your great pedigree , your hatred or jealousy of sri Rajiv Malhotra is too visible to a lay reader like myself. What are your real motives ? Whether you know them or not ? Rajiv Malhotra is an outstanding socio political thinker of our times. To talk ill of Sri Rajiv Malhotra in such vulgar banal way, speaks ill of your quality of mind or intellect . I have published this comment to demonstrate to the world the utter IDIOCY of the “Hindus” who have never learnt the basics of thinking. Rajiv Malhotra is a bigot, anti-free speech, and a gullible fool who can’t identify cheap magic tricks. Do read my blog to understand – but of course that is beyond your innate ability.